Each month I will describe sights of interest in the night skies of South Carolina. These sights will be broken down into three sections; what you can see with the naked eye, with binoculars, and with a small telescope. The best time to view the night sky is at and around the times when the Moon is not visible, what is known as a New Moon; which will occur on November 27th. For November, your best viewing nights will be from November 1st through November 4th, and November 17th through November 30th. 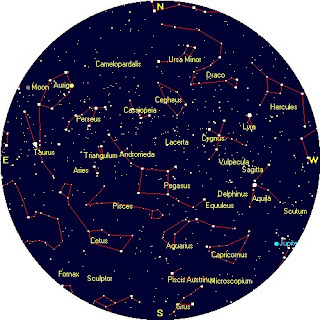 The Star chart below is set for Florence, SC on November 15th at 8 pm. Every year a telescope appears on someone’s Christmas list. If you are considering your first purchase of a telescope I decided to devote the majority of my column to helpful suggestions. First suggestion: Never ever buy a telescope from a department store. This suggestion also often pertains to TV shopping networks. If the telescope box, or sales sign or salesperson mentions power (usually something above 200 or 300 power, then stay away! Good telescopes are defined by their light gathering ability, not by power. In addition, the quality of the lenses is usually poor, and the tripod mounts quite wobbly. With all these shortcomings, the one thing I most dislike is that department store telescopes can cause a person to become quickly discouraged about amateur astronomy. So the solution is to purchase a telescope from a telescope store, most of which are online. 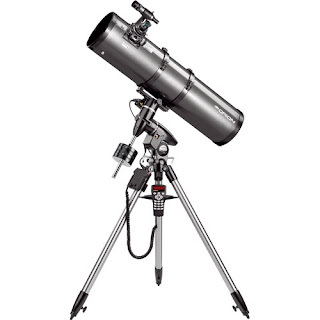 One well-known dealer is Orion telescopes found at telescope.com, others are Meade and Celestron. To locate other sources of telescopes, go to your local bookstore and buy a copy of either of the two leading astronomy magazines, “Astronomy” or “Sky and Telescope,” and check their advertisements. 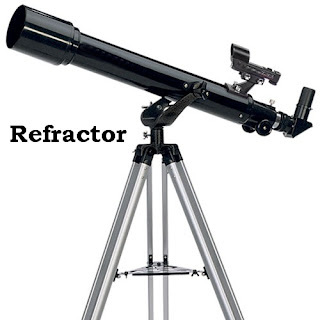 A refractor is what one might consider a traditional shaped telescope, a long thin tube with a lens in front to gather light, and another lens (eyepiece) in the back. 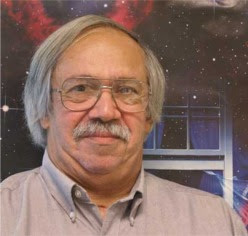 They are fine telescopes for viewing the moon, planets and double stars and are often bought as “starter scopes.” However, they usually don’t have sufficient light gathering ability to give good viewing of galaxies and nebulas, unless you spend a large amount for a large refractor with superior quality lenses. A Newtonian reflector uses a mirror to gather light instead of a lens. The telescope consists of a hollow tube open at the top with the viewing eyepiece near the top at a right angle to the tube. Amateur scopes can be as small as a 3-inch diameter mirror, but usually range in size from 6 to 10 inch diameter mirror. Because of their large light gathering ability, they can be used for a large range of astronomical targets, including galaxies and nebulae. 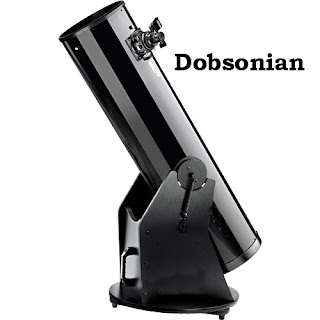 A second class of reflectors is the Dobsonian reflector, usually called a Dob. The Dob was invented by John Dobson, and is a simple reflector that is placed in a simple mount on the ground, see image below. Dobs are easy to use and quite inexpensive versus light gathering ability. Bottom line is that Dobs are known for giving the best telescope for your money. Some other considerations are, that they can be bulky to transport, and do need periodic fine adjustments to the main mirror, called collimation. However, laser collimators are available to make the job easy. 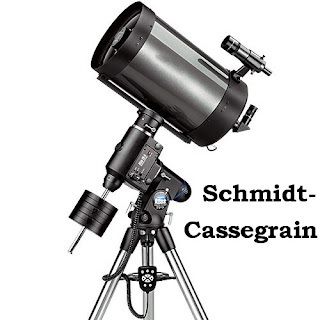 Schmidt-Cassegrain reflectors were designed to give the benefits of a reflector, but minimizing the length. These telescopes tend to be, on average, the most expensive of the three telescopes types. Also of the three types, these are the telescopes that most likely come equipped with computerized finders, known as GoTo scopes. A GoTo attachment will allow you to enter in on a keypad any celestial object, and the telescope will automatically find it for you if it is visible on that particular night. Note: Non-automatic GoTo systems are available for other reflectors and also for refractors. I do not personally favor GoTo systems because I find it is easier learn the night sky when you have to find targets on your own. Do you really need a telescope? If you are serious about a hobby in astronomy, it might be best if you put a pair of binoculars on your Christmas list this year, and buy the telescope next year. Reasons: Binoculars are cheaper, most ranging between $80 and $200. Binoculars will allow you to see a large region of the sky, and right side up! Binoculars can serve for other uses such as bird watching or sporting events. For simple astronomy, most people prefer 7 X 50 binoculars. 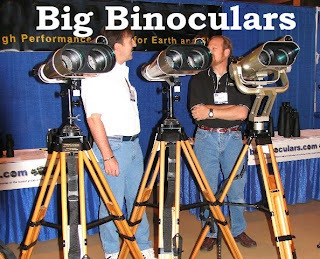 If you get the binocular astronomy bug, you might someday upgrade to “big binoculars.” Some are shown below; I happen to own the one shown on the far right of the photo. My recommendations: If you want to start a serious venture into amateur astronomy, begin by buying a pair of binoculars, star charts, books, and astronomy software; see my October column. If you must have a first telescope this year, start with a Dob, minimum 6 inch, preferred 8 inch. Venus and Jupiter dominate the south and southwest all month. On November 30th right after sunset, Jupiter and Venus are at their closest line of sight approach all year. Check them out in the southwest. Note: the normally anticipated November Leonids meteor shower will occur near a full moon, so very few, if any meteors will be visible. 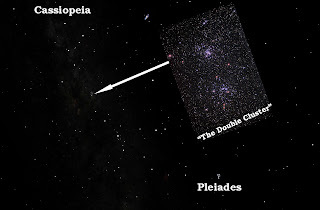 The Pleiades are always a good target; also try for the famous double cluster in Perseus. Jupiter is still the best view for most telescopes.